Rathcroghan Royal Site and Roscommon Castle will appeal to history buffs. You'll discover tucked-away gems like O`Dalaigh Jewellers and Royal Abbey of Cong. You'll find plenty of places to visit near Galway: Derryglad Folk & Heritage Museum (in Athlone), Fanore Beach (in Fanore), Coole Park (in Gort), Thomond Park Stadium (in Limerick), Dromoland Castle Golf Club (in Newmarket-on-Fergus), Hazel Mountain Chocolates (in Bell Harbour), Spiddal Craft & Design Studios (in Spiddal), Irish Crafts (in Doolin), Burren Smokehouse Visitor Centre (in Lisdoonvarna) and Dog's Bay Beach (in Roundstone). 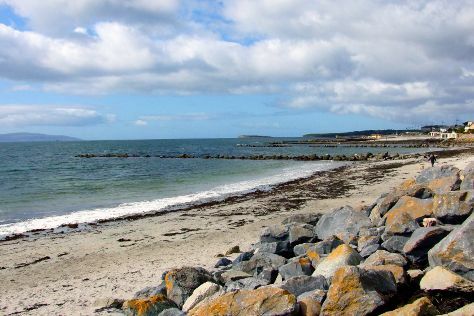 There's lots more to do: stop by Standun Spiddal, enjoy the sand and surf at Salthill Beaches, delve into the distant past at Tyrone House, and stroll through Burren and Cliffs of Moher Geopark. To see traveler tips, reviews, photos, and more tourist information, read our Galway custom trip planner. If you are flying in from United States, the closest major airports are Dublin Airport, Shannon Airport and Cork Airport. In December, daytime highs in Galway are 48°F, while nighttime lows are 38°F. Finish your sightseeing early on the 2nd (Tue) to allow enough time to travel back home.